Standing as a silent sentinel to the town, this enormous white oak welcomes travelers into the city of McMinnville. The Birthing Tree is steeped in local folklore and served as a local landmark for settlers passing through the area. Travelers from North Carolina, Kentucky, and Virginia passed through Knoxville on the Old Kentucky Trail. These trails converged at Rock Island (the closest city at that time) and then passed under the spreading branches of this giant tree before continuing south to Alabama. 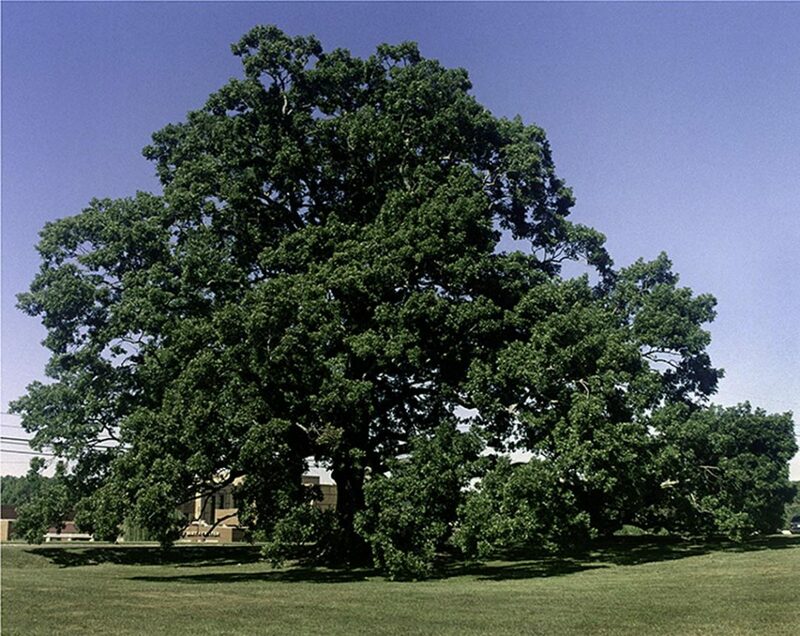 The huge oak was a well-known meeting place for these weary travelers. Some waited for long periods of time for fellow settlers to join them. Others lingered because of bad weather or lack of supplies. Local families recount stories of grandparents who knew someone born at the tree due to the extended delays. Many family meetings have been held at the tree. At one time it was thought to have been part of the infamous Trail of Tears, although local historians discount this. The tree has been the subject of numerous local stories and rumors for over 150 years. The tree rises 81 feet tall and has a crown spread of 130 feet, with several lower limbs larger than many trees. Although the Birthing Tree stands on a private residence, the owners donated the tree to the City of McMinnville in 2012.